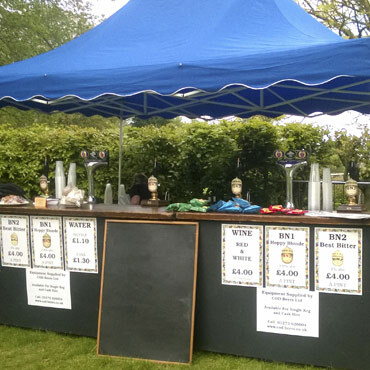 Available to hire, our mobile bar is ideal for functions, outdoor bars, parties, festivals, fetes, fayres and corporate events. C.O.D. 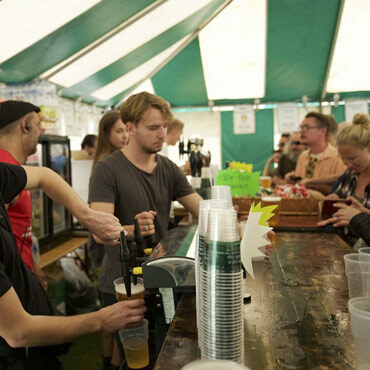 have several flexible mobile bar options available. 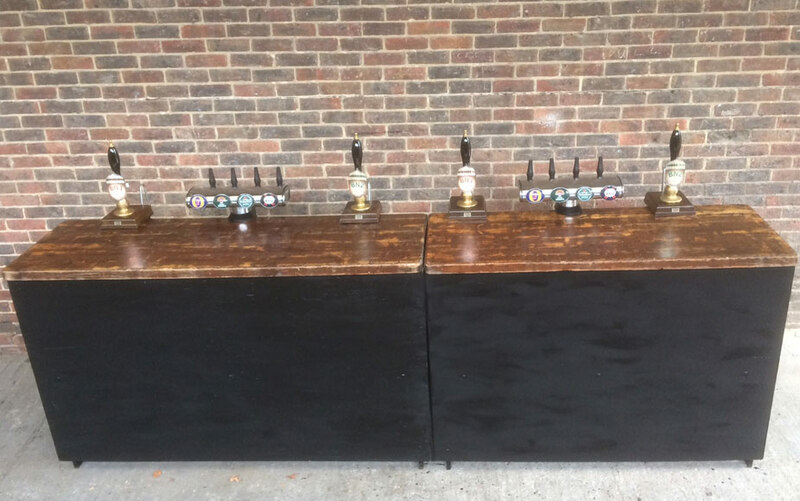 Our modular bar can be used in either 2m or 4m lengths. A wide range of fonts and branding are available. 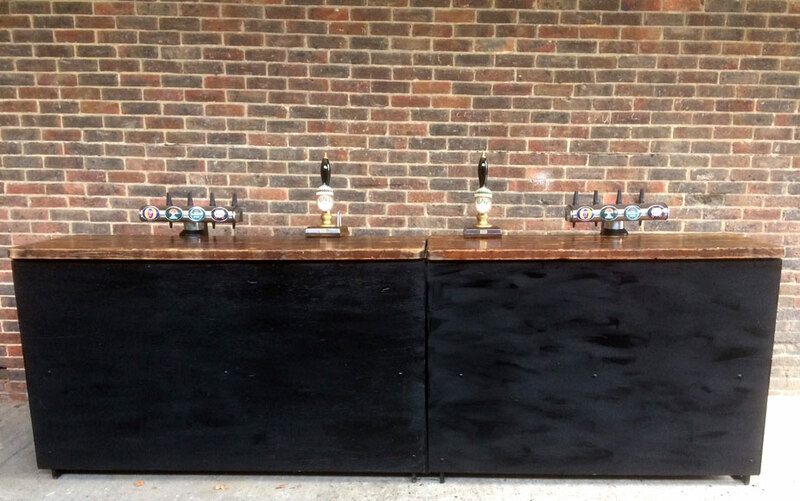 Lines, refrigeration and gas are all supplied as part of the installation and a glass service is available on request. 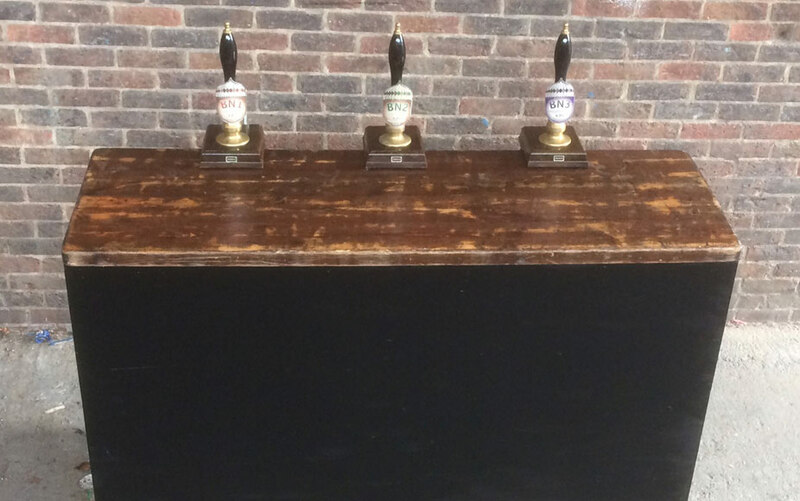 The bar can also be built on a pallet base. 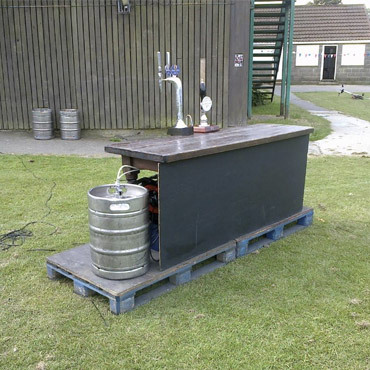 This means that as well has having a flexible height, during inclement weather the pallets act as protection from damp ground. 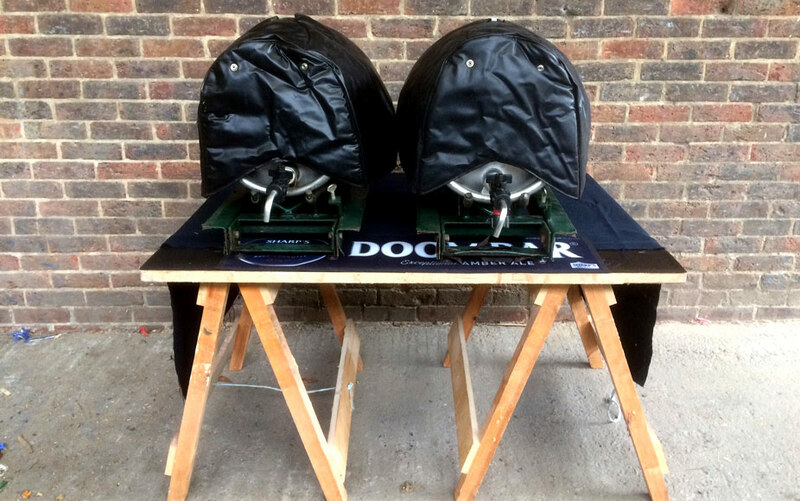 Whichever your chosen option, installation & assembly is of course part of the hire package. 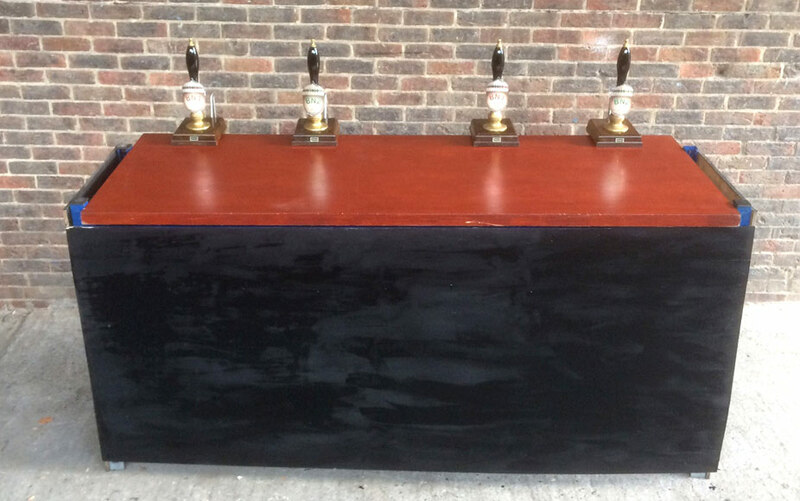 The bars are supplied with a chalk-board front, useful for price-lists, messages or promotions. 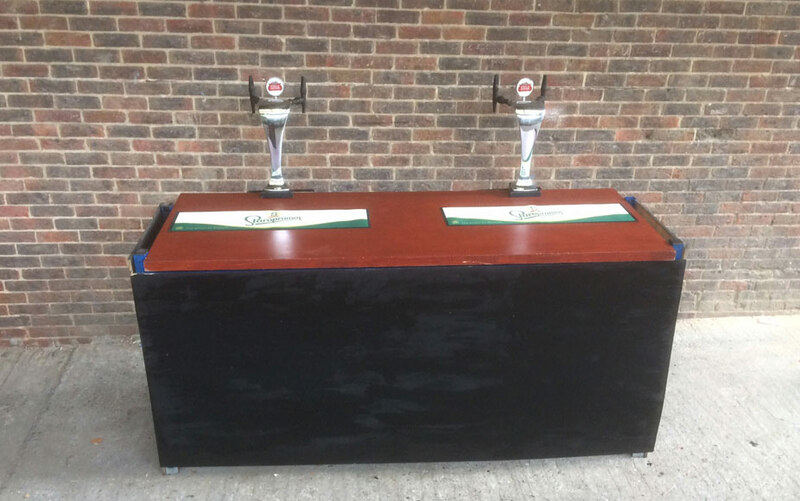 Individual items such as fonts, taps, refrigeration units or gas are available for separate installation or hire. 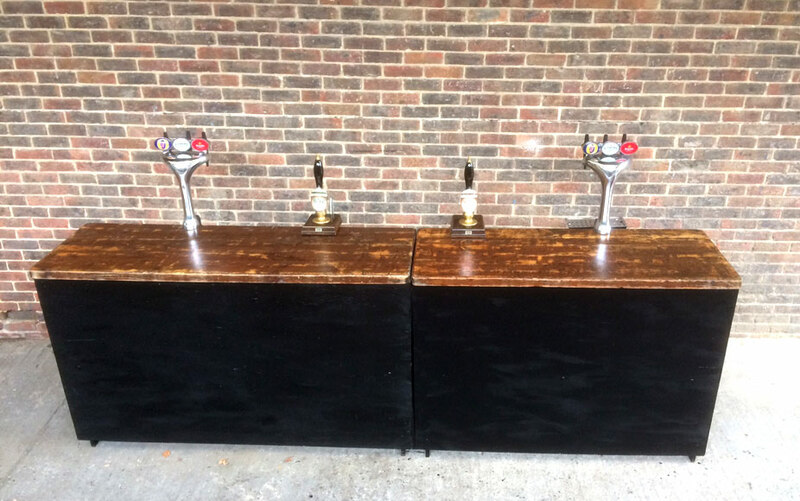 Please take a look at the images below to get an idea of our portable bar set-up options.